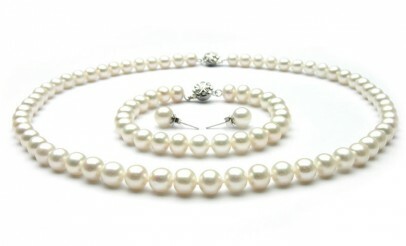 The pearls are white in color with high luster, medium nacre, slightly off-round, and lightly spotted with good uniformity. Each set has been appraised at a $550 value. The appraisal is based on research of current market value and the "Gem Guide" published by Gemworld International, Inc.